^ Perfect advice. Only thing I would add is speak up! Try to talk with others and see if there is a plan to break up into groups by team. Try to stay aware of when they are going in to battle and if you have any problems, speak up. Most groups in my experience will hop back out to give you a chance to restart the app or get in the group if you missed the lobby. Should go smoothly though. Have fun! Just got my first EX pass too. From past experience, how many trainers typically show up for these raids? I've been at EX raids with less than 15 so we all go into the same group. Opposite to that, the EX at our Starbucks yesterday had 50 trainers give or take a couple. 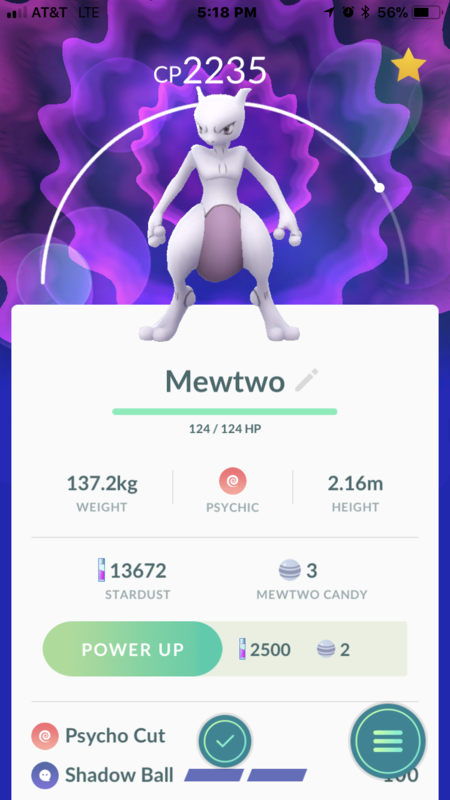 Everyone that is going for their first Mewtwo, be patient. Golden razz and the best throw you are comfortable connecting. Look into setting your circle if you are not aware of that strat. I'm only level 25, but I'm pretty happy about the eggs I hatched today. I went to the park at lunch today for my EX Raid. It was about time for the egg to pop so I hopped out of my car and started talking to the one obvious dude standing around waiting for it to go. He said there are 18 people in the lobby and 50 seconds left so I jumped in. I have no idea where the other trainers were because from what I could see it was just me and this dude at the park. As the raid is about to start a bunch more people walk up but they're waiting on friends to roll in a later group. For a solo player like me it was cool to see a group form up. With 18 people it was a steamroller but I should have held off to see if I could get a Valor group to run it with. Six balls and no catch. Oh well. I'm looking forward to another go at it. Hopefully I'll get another pass soon. Man I installed for the first time in awhile... last login was 8/16. I think I forgot completely how to play. lulz #level17 #whatamidoing? All these folks with Mewtwo, and I'm just sitting here with my regular Mew. I guess I've only recently started trying to raid things I can't solo, though, so I probably won't get an invite for awhile. @Gargoyle it is not what level you raid, it's where you raid. If there is a gym at a Starbucks or Sprint in your area (or gyms you know have had EX in the past), keep an eye out for a raid you can solo. Along with that just try to use your daily pass wherever. I'd bet that will get you an EX invite within a couple weeks. Also gym badge level comes into play. Any EX gyms you are aware of, try to battle, defend, and/or spin when you can. 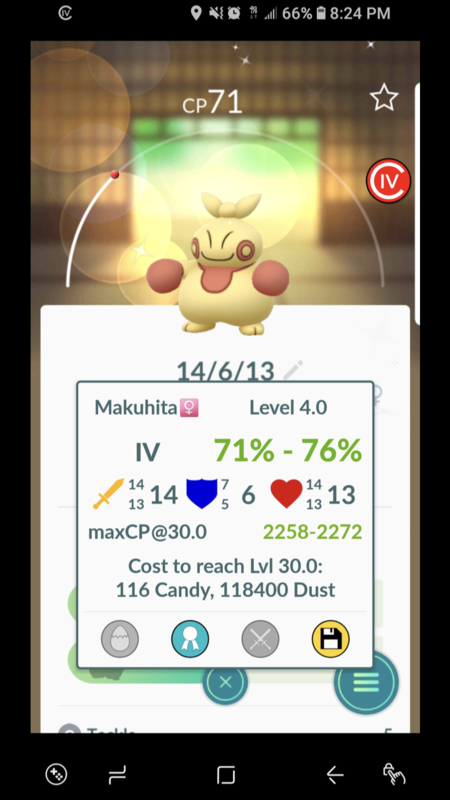 how do you people get so much stardust?? @Massalinie My Jelly runneth over. @the_technocrat They don't spend it. So I hear Lunatone is only available at night. They say like 11-7. Time for some quests. I'm currently saving up pokemon so I can crack an egg and evolve the crappy ones / transfer ~250. 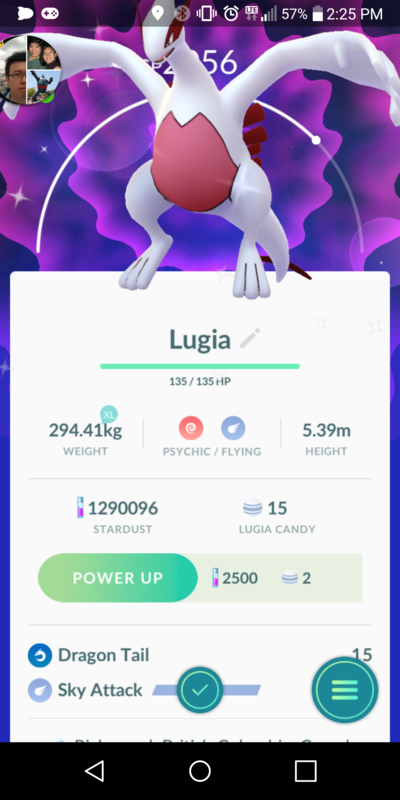 My strongest Pokemon so far. I can just about evolve Bagon, but I have no idea how I'll get 100 more Bagon candy at 5km each. Magikarp almost ready too. My naming. The last 2 blocks on the top are attack DPS anr defense rating, A-F. I've been using this to keep only species that are 60%+ as strong as the strongest species available in the game, and within those only individuals who are 80%+ perfect IV. The fam and I took a trip yesterday to a town called Port Jefferson, about an hour east of my house. My conservative estimate would place the amount of PoGo players at around 500. It was amazing to see. So many Pokestops, and so many Squirtles! I evolved at least 2 Pokemon in a few hours, and leveled up. Erm, I mean, Joseph did, because I didn't steal his account or nothin'. There should be a lot more around Halloween. 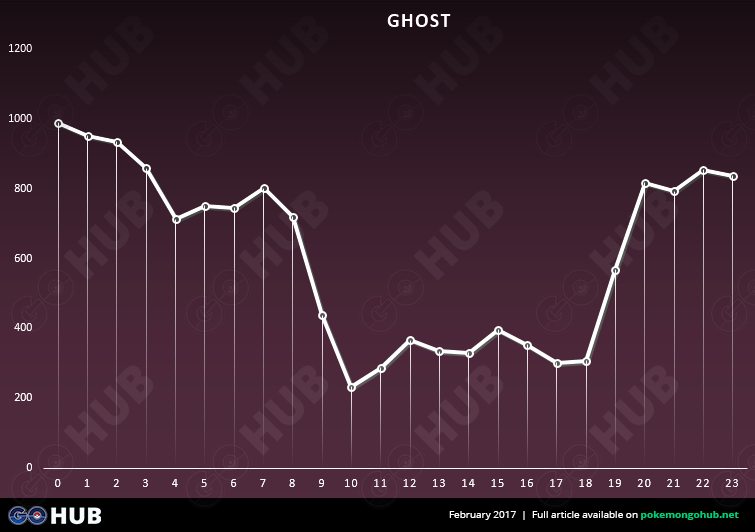 I had to purposely look for a nest... which I failed to find but NOW, after my 10 Ghosts, I find one. It took me at least 10 days to get the 10. I was in New York for a day for work. I found 12 Gastly in 20 minutes just taking a Lyft from Manhattan to Brooklyn. So, that's done. And you didn't tell me, dickfer?